Tourette's Syndrome (TS) is an inherited neuropsychiatric disorder affecting up to 1% of the population. It is characterised by motor and vocal tics, and upsetting anti-social behaviour such as involuntary swearing and obscene gestures. can be mistaken for TS. This edition contains a new chapters focussing on 'Education, employment and empowerment', and famous and successful people who achieved their goals despite their diagnosis. 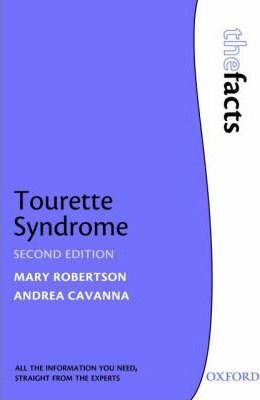 Essential reading for Tourette's sufferers, their relatives and friends, Tourette's Syndrome: The Facts will also be of use to clinicians, GPs, schoolteachers, and anyone seeking an accessible introduction to the disorder.